Ukraine is reforming, but too slowly. The Ukrainian economy can be turned round. How Berlin tries to make the Minsk agreements work. Ukrainians are rediscovering their own history during the Holocaust. David Marsh on the mischievous master of Europe’s common currency. 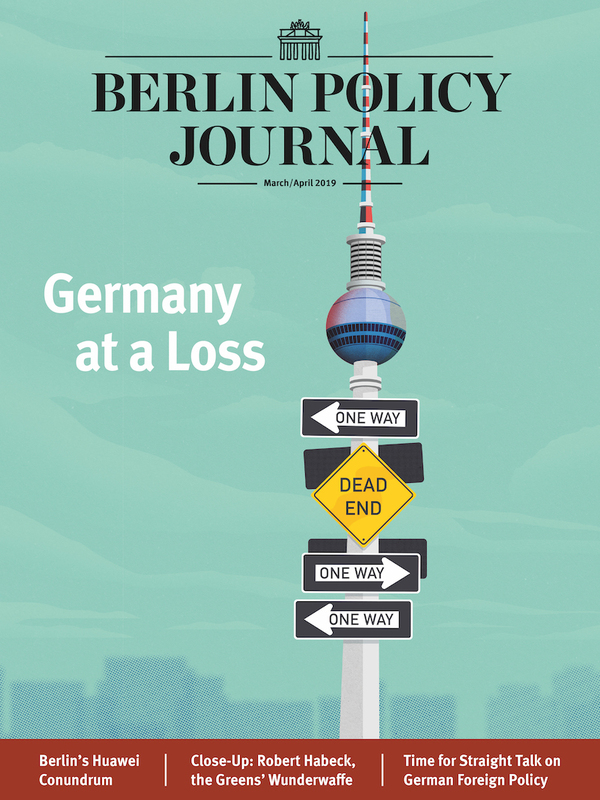 Germany’s foreign policy has its defects, but many aspects are laudable. 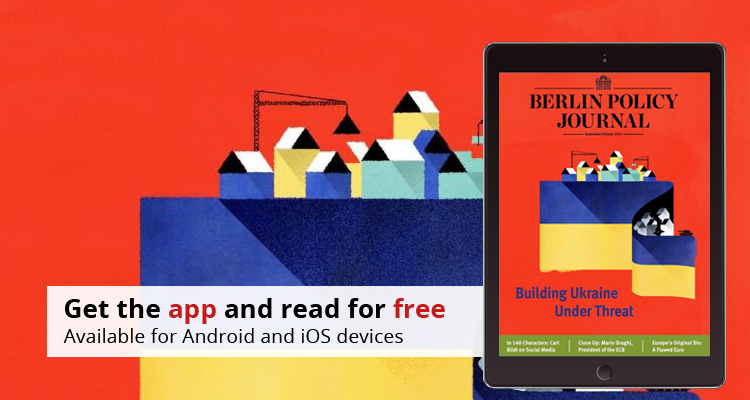 Minsk, Brussels, and Vienna: diplomatically, Berlin is in top form. It is in Europe’s interest that TTIP succeeds. The German government needs to do a better job explaining why. The euro lacks a fiscal and political union – and a coherent economic philosophy. The EU can weather the storm, but its politicians need to speak the truth more often. What the EU’s new security strategy will look like. Sweden’s former PM and foreign minister on being undiplomatic on Twitter. 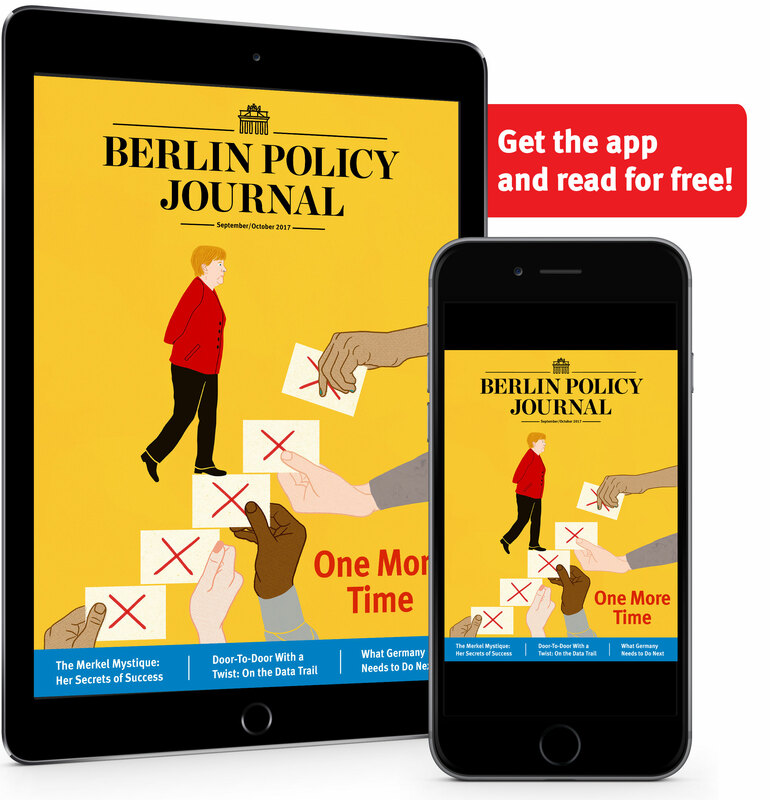 Get the Berlin Policy Journal App and read the complete issue for free!